We were very impressed with the size and standard of our apartment. There were lots of little extras - the air conditioning at no extra charge being the best as it was very hot during the whole of our stay. Our apartment had a terrace and was about 20 steps to the very nicely sized bigger of the two pool areas at the complex. We were handy for the reception, restaurant and supermarket, although the complex is quite sprawling and some could find the steps a problem if staying lower down the complex in the bungalows. Rooms were cleaned almost every day with towels changed every other day. The reception and restaurant staff were always polite and friendly. Very little entertainment was available, apart from a weekly BBQ which is well worth the E10.50 - lots of food with a singer and parrot show for the kids. It was a 10 minute walk downhill to a small commercial centre with a few shops, bars and restaurants which was opposite the beach. We arrived late at night just as the complex restaurant had closed and had difficulty locating somewhere to eat as we had not found our bearings. First Choice do give a welcome pack with a few basic essentials which is very helpful. Some days we found that loungers were at a premium but if you are prepared to wait they do become available later in the day. Towels were being put on the loungers early in the morning and left for long periods though. We suspect this is only a problem in high season. Not much to do for older children and adults in the complex,but it is only a few euros in a taxi to Puerto Del Carmen where it is much livelier. We enjoyed the relative peace of the complex. We went to the Costa Sal on a cheap winter break,we studied the review site and decided, these sounded pretty good. On arrival we were checked in straight away, receptionist helpful, and efficient, we were in the appartment within 15 mins. In all from the plane landing to getting in the appartment with kettle on less than 2 hours. Baggage handlers etc at airport very efficient, Matagorda not more than 10 mins drive from airport, costa sal being first drop off. Apartment, clean with functional furniture. Kitchen had toaster, kettle, 2 hobs and oven, which came in handy later on in week when cold. Bathroom large and clean except a grubby shower curtain, would take own towels as they only small and not very thick, and changed just twice a week, otherwise it could be arranged through reception, but at extra cost. Bedroom funtional, two single beds, does nobody on the continent sleep together, a double would have been handy to keep warm on the those chilly nights, instead had to make do with the spare blankets in the wardrobe, we had 2 each and needed them. Plenty of hanging space in wardrobe and plenty of hangers. Room had usual furniture bed settee, chairs, coffee table, sideboard and tv. Only sport and news in English. Although there was a dozen or so paperback books on a shelf, took my own so didn't bother, but a nice thought all the same. Balcony overlooked top main pool, and if you stood up near rail you could see the sea. Table and 4 chairs provided and clothes airer with pegs. Cleaners seemed quite efficient came 4 times in total. All in all adequate, clean, quite and would return if the price was right. 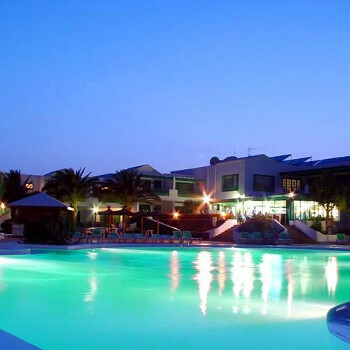 The Costa Sal apartments are very clean and central to the main resort of Puerto del Carmen. We have been holidaying in the Costa Sal 9 times since 1994 and we are going this year again Sept06. In all the years we have going there the reception ask the same question , is this your first time coming here ? Does anyone ever check the registar for returning visitors. Hopefully they might this year ? However its always a most enjoyable holiday ,they are clean , good food ,pleasant staff , entertainment poor very good pool, safe , maybe they could review the tv with a view to including some english programs . The apartment and their grounds/gardens were immaculate kept. Gardeners were out 5 days a week. The pool was cleaned every day and our apartment was serviced and cleaned 5 days a week. There was a short walk to the beach with an incline on the way back, but it wasn't too bad at all. Staff were friendly and the reception staff were very helpful and attentive. We stayed in the new bungalows situated at the bottom of the complex. There is a smaller pool than shown in the brochure which we overlooked. The size of the bungalows are outstanding!! There is plenty of room. You even receive a complimentary pack for the kitchen including, cloth, washing up liquid and sponge to clean plates. There is also a tea towel. The air conditioning is very effective and the beds are very comfy. The entertainment is limited, however, on a Tuesday night at the Sol Lanzarote, there is a firework display and was easily visible from where we were. The staff are very helpful, especially the reception staff who give accurate information. The bungalow which we stayed in was a fair walk away from the reception, with a number of stairs. However, resources, such as ramps, are catered for. This allows the elderly and the disabled to access the reception easily. This is also helpful with the luggage. We stayed in the bungalows which are quite a walk from the reception/hotel itself. Quite a haul with your luggage from check in depending on what location of the complex you are in. We were really happy with our 2 bed bungalow. No worries about balconies with small children. We were overlooking 2 pools, so it was the perfect location for us. The bungalows were given a quick clean most days and towels changed frequently though certainly not every day, which they are supposed to be, somedays the dirty ones were picked up off the floor and hung up again!!!! The kitchen was very roomy if you wanted to prepare your own meals loads of counter top space and adequate ware and cutlery etc. You are given a complimentary cloth and washing liquid which is handy. As in previous reviews there is no entertainment in this complex. Sol Lanzarote another hotel is a 3 min walk away and they had great entertainment every night and alot of the clients with small kids of Costa Sal went there every night for their entertainment!!! All in all, we liked this complex, we loved the spaciousness of the bungalow and it's proximity to the pool area. We would definitely go back again with our small children if we could be guaranteed the same bungalow! Our family chose room only option in the Costa Sal Apartments but on any of the occasions that we ate in the complex - the food was very good. The rooms were cleaned on a fairly regular basis but not as much as was advertised in the brochure - with regular trips to both pool and beach - I thought that the towels and particularly the sheets could have been changed a little more often. The location of the hotel was good in that you were not right in the miidle of the town yet within easy walking distance to a good selection of bars, shops and restaurants. The staff were very helpful and efficient, the only fall down was that the bar staff (whether busy or not) did not offer a waiter service. The Costa Sal Apartments have nearly everything possible going for them except for one thing - the entertainment is practically non existent apart from a BBQ on Tuesday nights. Apart from that the entertainment was really diabolical. I have a teenage son - and the only real entertainment that was available for him was a pool table which was closed at 10pm every evening and one or two computer games in the basement of the hotel. We tended to stay out of the apartments in the evening due to complete lack of entertainment. I would have no problem visiting the Costa Sal Apartments again if I didn't have children. This was our third visit back here but first time as a couple. The apartments are lovely and cleaned daily by a really happy maid. The place is spotless but the bar service is so slow and bar-man never smiled in all the time we were there. However the reception staff are so nice and helpful as is the night watch-man who we called Robo-Cop. We only ate in the restaurant at lunch the odd day but it was lovely and good service. I would recommend this hotel to anyone with small children because the pool area is so safe and never packed so you can keep a good eye on your kids. The down side to this hotel is the entertainment. Once a week a man with a a parrot show sing song and barbie (food lovely) and thats it. For such a big complex they should have some entertainment especially if you have children with you. Excellent stay here last spring. Clean, tidy and quiet complex.